The paper, published recently in the American Journal of Infection Control, underscores the infection risk posed by commonly used endoscopes. It signals a lack of progress by manufacturers, hospitals and regulators in reducing contamination despite numerous reports of superbug outbreaks and patient deaths, experts say. "These results are pretty scary," said Janet Haas, president of the Association for Professionals in Infection Control and Epidemiology. "These are very complicated pieces of equipment, and even when hospitals do everything right we still have a risk associated with these devices. None of us have the answer right now." The study found problems in scopes used for colonoscopies, lung procedures, kidney stone removal and other routine operations. Researchers said the findings confirm earlier work showing that these issues aren't simply confined to duodenoscopes, gastrointestinal devices tied to at least 35 deaths in the U.S. since 2013, including three at Ronald Reagan UCLA Medical Center. Scope-related infections also were reported in 2015 at Cedars-Sinai Medical Center in Los Angeles and Pasadena's Huntington Hospital. 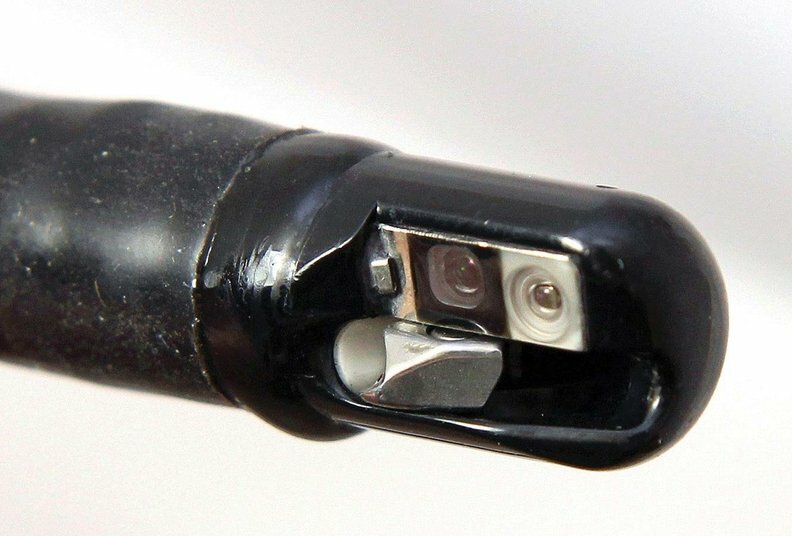 The study's authors said the intricate design of many endoscopes continues to hinder effective cleaning and those problems are compounded when health care workers skip steps or ignore basic protocols in a rush to get scopes ready for the next patient. The study identified issues with colonoscopes, bronchoscopes, ureteroscopes and gastroscopes, among others. The rise of antibiotic-resistant superbugs such as CRE (carbapenem-resistant Enterobacteriaceae), which can be fatal in up to half of patients, has made addressing these problems more urgent. About 2 million Americans are sickened by drug-resistant bacteria each year and 23,000 die, according to the Centers for Disease Control and Prevention. "We're not moving fast enough to a safer world of reusable medical devices," Michael Drues, an industry consultant in Grafton, Mass., who advises device companies and regulators. "There is plenty of fault to go around on device companies, hospitals, clinicians, on basically everybody." Despite the potential risks, medical experts caution patients not to cancel or postpone lifesaving procedures involving endoscopes since they often spare patients from the complications of more invasive surgeries. The Food and Drug Administration and Olympus Corp., a leading endoscope manufacturer in the U.S. and worldwide, both said they are reviewing the study. Last month, the FDA issued warning letters to Olympus and two other scope makers for failing to conduct real-world studies on whether healthcare facilities can effectively clean and disinfect their duodenoscopes. The FDA ordered the manufacturers to conduct those reviews in 2015 after several scope-related outbreaks in Los Angeles, Seattle and Chicago made national headlines. Last year, researchers visited three hospitals, which weren't named, and performed visual examinations and tests to detect fluid and contamination on reusable endoscopes marked ready for use on patients. One hospital met the current guidelines for cleaning and disinfecting scopes, while the other two committed numerous breaches in protocol. Nevertheless, 62% of the disinfected scopes at the top-performing hospital tested positive for bacteria, including potential pathogens. It was even worse at the other two—85 and 92%. In their current form, many endoscopes aren't built to withstand repeated sterilization. Some also have long, narrow channels where blood, tissue and other debris can get trapped. The Joint Commission, the nation's largest accrediting body, issued a safety alert last year about disinfection and sterilization of medical devices in response to a growing rate of noncompliance. In 2016, the accreditor cited 60% of its hospitals for noncompliance and 74% of all "immediate threat to life" citations from surveyors related to improperly sterilized or disinfected equipment. Michelle Alfa, a professor in the medical microbiology department at the University of Manitoba, said accreditors may need to conduct more frequent inspections, and endoscopy labs should be shut down "if they don't get their act together. These results are totally unacceptable."